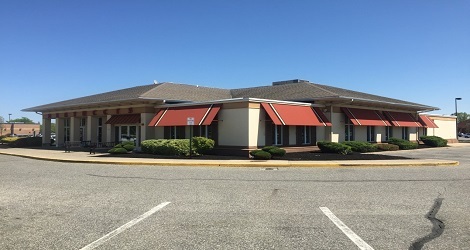 Are you ready to experience an amazing Italian meal without leaving Mount Laurel, NJ? Come to Bertucci’s to enjoy a taste of Italy close to the comfort of your home. Our delicious homemade dough, tomatoes grown only for our locations, and roasted vegetables are fresh every single day. Whether you choose to eat our signature brick oven pizza, one of our authentic pasta recipes, or even little something from our dessert menu, we make sure every meal we serve is crafted to our guest's specifications. Bertucci’s is proud to serve Mt. Laurel residents real, delicious Italian food each and every day. From the brick oven pizzas that initially put our brand on the map to our seasonal menu items and lunch specials, there’s something on our menu for everyone. Our restaurant is open to dine in clients for both lunch and dinner, making it convenient for your party to meet-up whenever it works best for you. Every time you come to Bertucci’s, you’ll be treated like a member of our family. This incredible service is what keeps our patrons coming back meal after meal. We know, though, that sometimes life just gets too busy to go out to eat. If you haven’t been able to find time to dine with us recently, remember that we have carryout services available in Mt. Laurel. Maybe you want to surprise your family with their favorite Italian food, or perhaps you need to take a meal to a gathering with you. Whatever your situation is, Bertucci’s is the solution. If you need catering, we have been providing Mt. Laurel residents with exceptional catering services for birthdays, corporate functions, family parties and so much more.